Helen Poynor runs the Walk of Life Workshop and Training Programme in Non-stylised and Environmental Movement based in the World Heritage Site on the West Dorset/East Devon Coast. 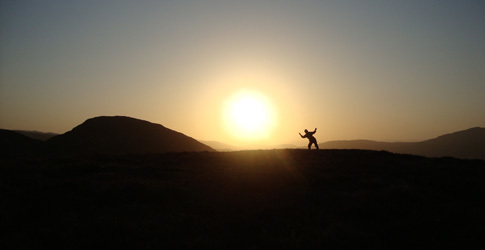 An internationally recognised movement teacher, director and performer Helen specialises in movement in natural environments, site-specific, autobiographical and improvisatory performance, and cross art-form collaborations with installation, film, text and the visual arts. 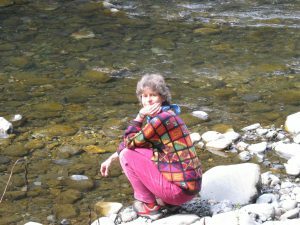 Helen trained with Anna Halprin and her staff at Tamalpa Institute in 1980-81 and has maintained her connection with this work both as an artist and a practitioner including regularly teaching Movement Ritual and the RSVP Cycles for collective creativity. She is co-author with Libby Worth of Anna Halprin (Routledge 2004). Helen subsequently trained with Suprapto Suryodarmo from Java and is recognised by him as a teacher of non-stylised movement practice. She is a mentor for established and emerging dancers and performers and a Visiting Professor of Performance at Coventry University. Helen is also a Registered Dance Movement Therapist (ADMP) and a Somatic Movement Therapist (ISMETA) working with individuals in private practice.